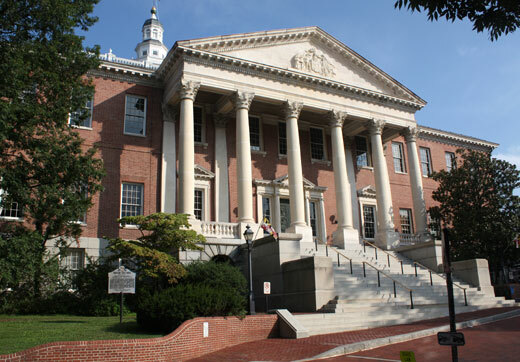 The Maryland State House is the oldest state legislative building that is currently in use. The building was built in 1772, and temporarily served as the capital of the United States from November 26, 1783 to August 13, 1784 before the new permanent national capital in Washington, D.C. was built. Today, the capital building serves as home to the Maryland General Assembly and offices of the Governor and Lieutenant Governor.